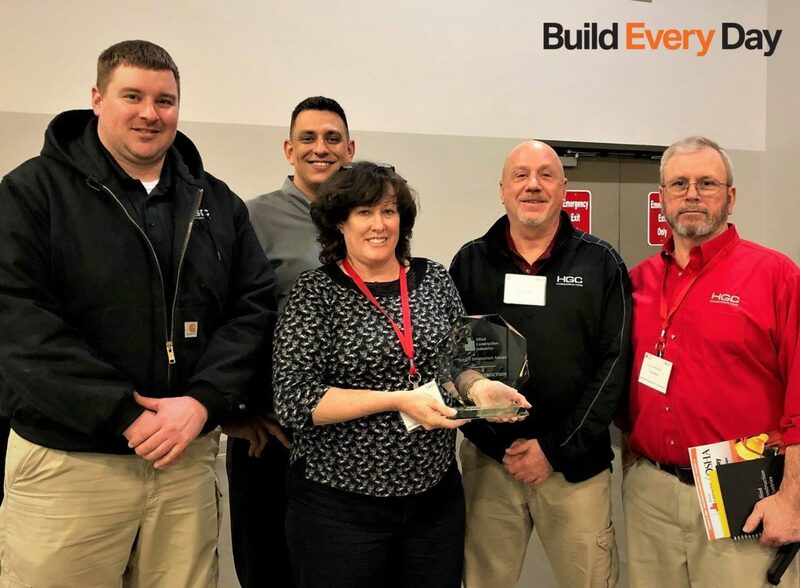 HGC’s Safety Department received the Safety Innovation Award at the Allied Construction Industries (ACI) Safety Day, held on February 5. A streamlined badge system that automates alerts to any employee’s upcoming certification expiration, and any training completed or yet to complete. Two day new employee orientation for field employees which will include job-specific equipment and processes. “Tool Box” talks, which are weekly safety deep-dives. conducted on every single job site to keep safety front of mind. Safety University, a safety continuing education program designed to advance safety knowledge throughout an employee’s career. Tim Wilmot, HGC’s Workforce Development Coordinator, was recognized with the 2019 Safe Employee Award. Tim has been with HGC since 2006, and upon his own initiative created the Carpentry Skills Training Program (CSTP). The CSTP was meant to address the opportunity after identifying the opportunity to attract new talent to the industry, train them efficiently, support them in their new career, and keep them at the top of their game. Learn more about the HGC’s workforce development.